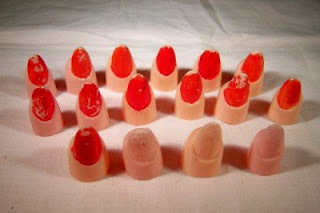 Does anyone else remember these plastic fingernails? I remember having several, but not enough for every finger. I have no idea where we got them, maybe from a gumball machine. Posted by Karen at 4:23 p.m.